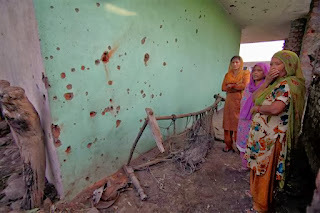 Truth by Kbaig: “As Usual” Pakistan Army Under Naked Aggression of Indigenous Media..! “As Usual” Pakistan Army Under Naked Aggression of Indigenous Media..! 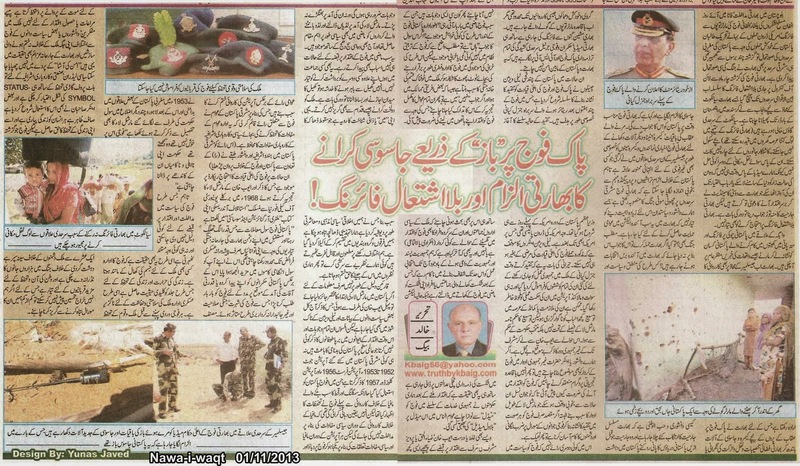 Indian armed interference in Baluchistan, attacks of armed Afghan terrorists in FATA (Federally Administered Tribal Area), Mortar attacks and violations by Afghan army, suicide bomb attacks as a revenge of US drone attacks by Taliban, had made the situation quiet complicate from last few years on Western Borders of Pakistan that now Indian aggressive policy has also created a war like situation on Eastern borders as well. The violation of ceasefire and unprovoked firing over LoC (Line of Control) from last four months have now reached to international borders which India is now struggling to spread it from Sialkot in Punjab to Rajasthan in Sindh. 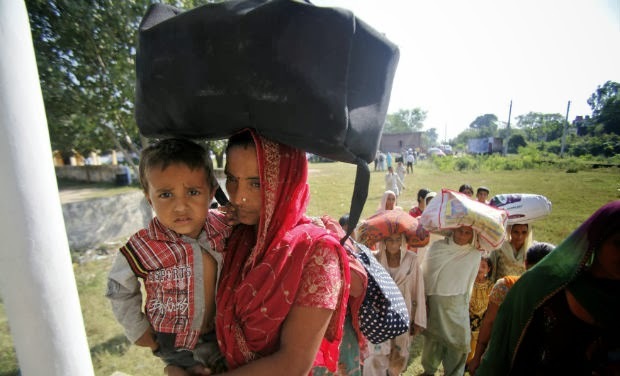 The neighborhood villages of Sialkot border areas have been vacated by people as how long people could stay confined to inside their houses, children could not go to school, farmers cannot bring fodder to their cattle due to fear of Indian unprovoked firing; in such a situation they had no other option except to migrate. Because our media has no time to show their poor situation to the international community and our rulers who claim to have won the elections for friendship with Hindu India damn care about the miseries of powerless people living near Indian borders due to unprovoked Indian shelling over civilian villages; these politicians are shameless to the extent that taking reciprocal measures against Indian aggression aside they do not even dare to protest against Indian aggressive shelling over civilians. Reports like firing over Pakistani border check posts over Wahga border and shooting an innocent farmer through sniper working in fields in Tata Pani Azad Kashmir had been already reported by the newspapers. India has now plans to start shelling and aggressive firing over Jesselmir sector as well; in order to provide justification to her aggressive plans India has alleged Pakistan army for spying through spy cameras fixed to Eagles in order to keep an eye over Indian troops and their movement and have threatened to take revenge at suitable time. 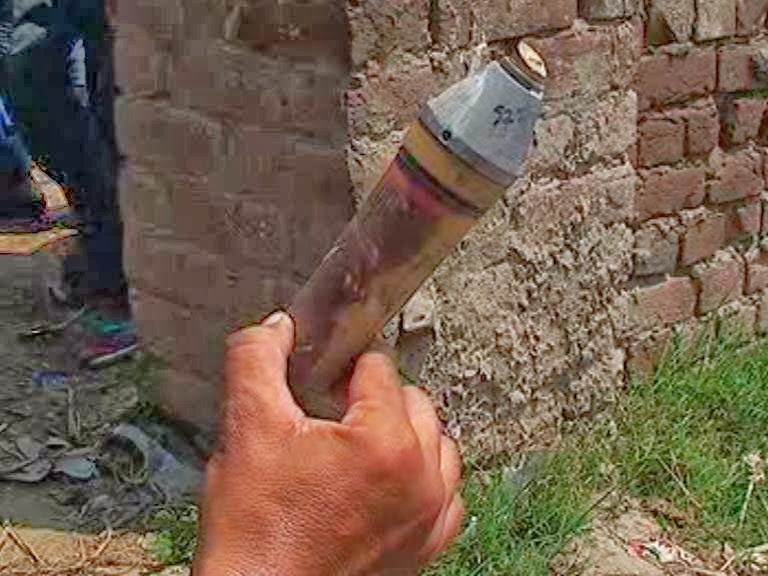 For the propaganda purposes Indian army took journalists over the restricted Jesselmir sector to show them the remains of the eagle, camera, antenna and other equipment allegedly used by the Pak Army. Keeping in view the propaganda campaign by Indian army and the situation Indian army is trying to develop over the borders it can be forecasted that Indian army is planning small scale war like skirmish over the borders which our intellectuals and elected leaders are ignoring that this is a technique used by Indian govt. to win support for upcoming elections. What the hell does this mean that even a war that India is about to impose on Pakistan should be ignored just because India is about to pass through the phase of elections? 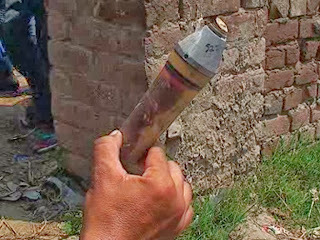 What type of logic, justification, politics and patriotism is it that Indian aggression that was limited to stealing of Pakistani waters, infiltration of terrorists has now converted into shelling of mortar and artillery shells over civilian villages of Pakistan, heavy weapons and machineguns are spraying bullets over Pakistani areas and our politicians, media and so-called intellectuals are blaming Pakistan army and ISI that these two institutes are the biggest hurdle in friendship and peace with India? In such grave situation few Pakistani channels have started criticizing Pakistan army and higher command of Pakistan army especially army Chief who is going to retired within few weeks; this current campaign of criticism started from the first day of Prime Minister’s visit to USA. The reasons was the stubbornness of USA over the continuation of the drone attacks and majority of these anti-Army propagandists had left no stone unturned that it is impossible that these drone attacks are being conducted without the will of Higher Command of Pak-Army. Astonishing fact is that during their propaganda campaign they totally ignored the commitment of General Kayani for continuation of democracy moreover his strategy for successful cleansing of terrorists from Swat and Malakand was totally ignored as well. If these propagandists and critics were angry over the extension of the services of Chief, they should keep in mind that this extension was not under martial law but according to the decision of a democratic elected govt. which cannot be compared to democracy from General Ayoub to General Musharaf’s democracies. If these elements want to discuss the role of army during non-democratic times than they should also tell younger generation that what were the reasons that forced army to jump on to the driving seat and stay in control for long time in the form of martial law; however, if the goal of these frogs singing over the media is just to defame and demoralize Pakistan army and create ease for enemies to fulfill her damn plans than we salute them for fulfilling their duties dutifully for which they are being paid. There is no ambiguity that army should not jump into the power or politics than what are the reasons that forced army to involve in politics or sabotage the civil governments in past? As an institute is there any WISH or LONGING in Pak Army to interfere into political process? If answer is “YES” than this means that there is something wrong in the training system of army but the presence of such a wrong in army leads to dispersion and disintegration resulting in the devastating destruction of the country as world witnessed in few African countries. If the answer is “NO” than all those reasons should be identified and avoided which force army to take over the civil govt. moreover the role of leaders of political parties in dragging army into politics should be also identified, besides what are the reasons that in spite of being supporters of democratic system we failed to bring transparency within ourselves to such extent that in past political parties that lost the elections blamed army in the past and now these politicians are blaming lower courts for their defeat? This is also a reality that may hurt many that after coming into power, democratic government bestowed army with Medal for supporting democracy although few critics as usual termed it as Bilawal Medal. There should be some solid reasons behind takeover of power by Musharaf, Zia or Ayoub otherwise nation should not have welcomed them with sweets; those who welcomed army after imposition of martial law enjoyed important political roles in past as well as present. This entire not only paves the way for over taking of political govt. by army but also provide reasons as well. No matter these characters are present in any party they do not tolerate anyone else except themselves; if they ever sense the fear of being removed from the politics play, sabotage of govt. aside they even do not hesitate from division of country as well. This ideology of selfishness or ego became the reason of fall of Dhaka; this selfishness has made us corrupt morally, politically, religiously and socially. Our cultural structure has been destroyed, we do not tolerate the difference of opinion and belief; if someone opposes our opinion our reaction is like that he or she has no right to live. Not as an argument but just for knowledge lets look at the history of martial law in Pakistan; it started from General Ayoub Khan, most of the politicians and intellectuals do propaganda about it on many TV Channel in many talk-shows. But the bitter reality is that no one dares to discuss the situation that country was facing that was defaming Pakistan on the international level; no one will ever mention the operations in Eastern Pakistan, Operation Jute 1952-53, Operation First 1956 and Operation Closed door 1957; in these operations Pakistan army was used while Pakistan army expressed concerns before indulging in these operations against mafia that created shortage and smuggling. Army was assured that during operation against these mafias army will not be interfered by politicians but in all these operations the pressure from politicians became the reason of premature ending of operations against the will of the public. This led to a misperception in the public of Eastern Pakistan that army is not an institute to protect public but protector of elite class, businessmen and politicians. This misperception was further cultivated by Hindu elites of Eastern Pakistan and Indian RAW. The protest of higher command of Pakistan army on such situation is on the record which was mentioned by Austanlof Aundresky of Berkley University of California in his book “Military Organization and Society” regarding martial law of Ayoub Khan; he writes, “As much as Pakistan army wanted to remain away from civil matters to save its energies to improve its professionalism to face its enemy India in the future, the more Pakistan army found itself entrapped into the civil matters. Due to natural calamities or political blunders done by politicians army was called again and again for support which adversely affected the prestige, war capability and impartiality of the army”. Writer also mentions the lawlessness in 1953 in some parts of Western Pakistan and martial imposed in Lahore and other areas by the civil govt. he writes, “Army was not happy with this decision as army considered that politicians wanted to make them (army) responsible for their (politicians) failures”. However, as no argument can justify the interference of army in civil administration or over powering elected govt. in the same like way it is also a proved fact that army acts as skin of the country. As skin is inseparable for protection and continuity of life in the same way armed forces are inevitable for the safety and integrity of a country. Every soldier before wearing the uniform signs the deal of death to protect his motherland neither for money nor for the facilities. The disputes of few elements present in the country with army and AMAN KI ASHA aside; this is a bitter reality that use of bullet proof vehicles by elites, politicians, businessmen and few anchorpersons as well has become a STATUS SYMBOL besides a need for security; of course everyone has the right to protect his/her life but what about army? Armed forces of Pakistan are facing enemies, bullets and shells since creation of Pakistan, armed forces have history of brave sacrifices and they are ready to write new chapters of bravery, zeal and sacrifice so if we cannot appreciate these DEFENDERS of nation than we have no right to defame and demoralize these SOLDIERS as well!!! Salute to the efforts of Pakistan army.Talk shows.